Baseball America released their Best Tools lists for each level in the 2013 season. Below are the links to each level’s article, along with the Pirates who received recognition. All of the Pirates awards were NL only. Pedro Alvarez was named as having the third best power, behind Carlos Gonzalez and Giancarlo Stanton. 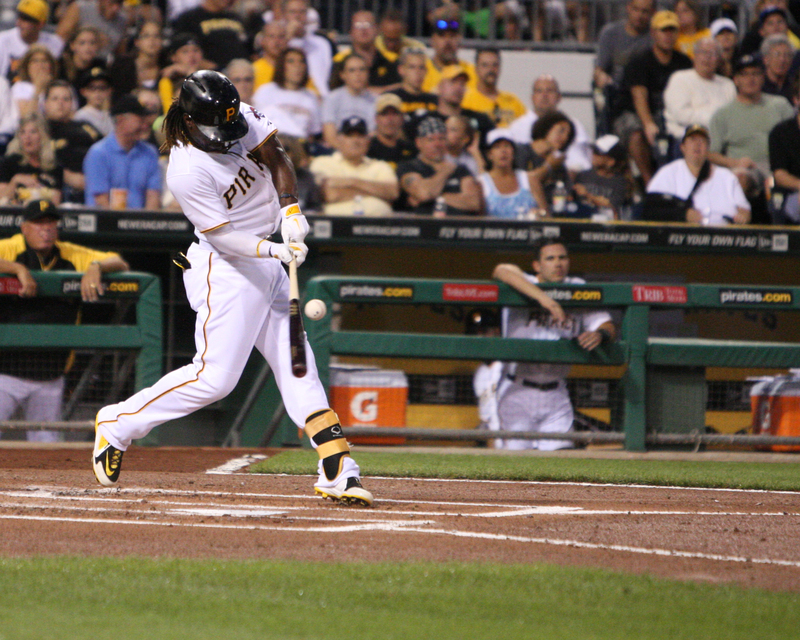 Andrew McCutchen was named the Most Exciting Player and the second best baserunner, behind Everth Cabrera. McCutchen was also named the third best defensive outfielder. Last year he won the Gold Glove, although the award wasn’t really earned as much for his defense as it was for his offense and name recognition. His defense has actually improved this year, with several highlight reel plays being made not because he’s out of position or taking bad routes, but because he’s using his speed to get to difficult plays. Jason Grilli was named as the second best reliever behind Craig Kimbrel and ahead of Aroldis Chapman. Russell Martin was named the second best defensive catcher behind Yadier Molina. Clint Hurdle was named the second best manager in the NL behind Bruce Bochy of the Giants. Gerrit Cole was named the best pitching prospect in the league. Vic Black was named the best reliever. The awards obviously count guys who have since been promoted to the majors, since Cole has been in Pittsburgh since the middle of June. Black was up briefly in Pittsburgh, and should make it back when rosters expand in September. There’s not much to say about these rankings, since they obviously fit both pitchers well. Altoona didn’t have anyone in the Double-A Best Tools list. Elias Diaz was named the best defensive catcher in the Florida State League. Willy Garcia was acknowledged as having the best outfield arm in the league. Diaz has a strong arm and good receiving and blocking skills behind the plate. He’s also very athletic. He also shows some promise with the bat, although that hasn’t shown up in game situations. Until he starts to hit, he will just be a strong defensive catcher, possibly making it up to Double-A next year due to the defense. Willy Garcia has one of the best arms in the system, and has thrown plenty of runners out from right field. He also shows a lot of power potential, but lacks consistency. Usually his power comes in bursts, which always leads you to believe he is breaking out. We saw that this year when he hit eight homers in June with a 1.012 OPS, only to follow that with two homers in July and a .790 OPS. Tyler Glasnow was named the best pitching prospect in the South Atlantic League, and was also graded as having the best fastball. This has been a huge breakout season for Glasnow, and these acknowledgements only add to the national attention he is starting to receive. Dilson Herrera was named the best defensive second baseman. Herrera was originally signed as a shortstop, but has settled in well at second best. He’s got the offensive potential to provide value at the position, and obviously his defense is seen as an asset around the SAL. I think if Mchado was drafted by the Pirates and Taillon by Baltimore that Machado would be getting his first taste of AAA baseball while Taillon would be a fixture in the Orioles rotation. Or, Taillon is on the same program as Bundy, rehabbing the overused and rushed arm. I thought Carlos Paulino would get mentioned as best defensive catcher or having the best arm…..I was very impressed with him when I saw him play in person. Christian Vazquez is a crazy good defensive catcher. Unfortunetly there is only room for one top defensive catcher per league. I would guess that Paulino finished 2nd or 3rd in the league. LOL well I guess Gausman only had 8 starts at the double A level too before the O’s moved him up to triple A. Why does it seem like every other team in the league rushes top pitching prospects. Are the Pirates really the only team that actually develops their players? I don’t think JT IS the top pitching prospect. Personally, I still pine for Machado. But that ship has sailed…..
We’ll see about that probably starting next June. I think Taillon is going to be our future ace! I agree. Who wouldn’t take an all-star infielder over a pitching prospect?